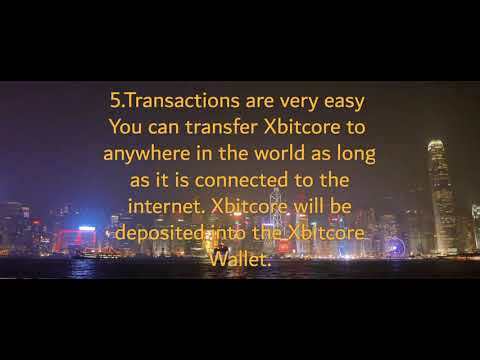 XBITCORE is a cryptocurrency and Staking Platform. This currency is like the Dollar, but it is only available in the digital world. The concept may sound like Bitcoin, and is actually not much different from Bitcoin. In the world of cryptocurrencies, Bitcoin and Xbitcore are not much different, the difference is Opportunity and Price. To have one Bitcoin you have to prepare more usd6000, Regalcoin has a bigger opportunity is because the price is still very cheap and you have chance for the price which is not You get the in bitcoin before. All the transactions we have done can be seen, but we do not know who the owner of the Xbitcore address is if the owner does not tell it. Each Xbitcore user can actually choose whether or not his name will appear, but even if the user wants to keep his identity secret, all of his transactions are still recorded and can be monitored through blockchain. Xbitcore that uses the Blockchain database is not controlled by a party, but is so open to the public that it is impossible for someone to forge transactions in Blockchain. All transactions are recorded live, transparent, and spread across multiple servers. Those who want to change or falsify Xbitcore transaction data must hack multiple servers at the same time. Peer-to-peer itself means Xbitcore runs without having a central server. The storage server is decentralized and distributed-divided into various servers run by each user connected to the network. You can transfer Xbitcore to anywhere in the world as long as it is connected to the internet. Xbitcore will be deposited into the Xbitcore Wallet. Register via Web wallet or Download Wallet app. Enter Xbitcore Address from the transaction opponent and the amount of Xbitcore you want to transfer. Xbitcore supply will only have 7 million coins worldwide, this resembles an economic system based on deflation and with increasing supply coin, Xbitcore prices tend to rise, when demand is high and the number of coins that remain is not increased.